SAINT PAUL, MN: Kohnstamm Communications has hired Greg Zimprich, former director of brand PR at General Mills, to serve as SVP of agency operations and strategic insight, effective November 5. In the newly created role, Zimprich, who worked at General Mills for 19 years, will report to president and CEO Josh Kohnstamm. Zimprich will oversee all 18 staffers at the firm. “C-suites were non-believers in social media before he showed how it could be done. He transformed General Mills, and now he's one of a handful of people in the country who corporations are watching to see what's going to come next,” said Kohnstamm. Kohnstamm said the position was created to enhance agency alignment, increase growth, help with professional staff development, and focus on innovations in social media. He added that social media work makes up 20% to 25% of the agency's business. “I always had in the back of my head that going back to the agency side would be an interesting option, and having accumulated a lot of relevant experience in my years at General Mills, I think it will be a great opportunity to take that experience and apply it to clients in new and different ways,” Zimprich said. His main responsibilities will include measuring and creating value for social media, managing the office, working directly with clients both on traditional and social efforts, and helping with training and mentoring programs. 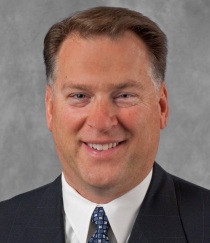 Zimprich exited his role at General Mills at the end of August as part of a restructuring of the food giant's marketing and communications functions. Zimprich had held various marketing and communications roles, serving in his most recent position for the last seven years, and helping launch more than 100 products. He also brought social media to the forefront at General Mills by implementing guidelines and training programs for employees and created a crisis response platform for the company's brands. Prior to General Mills, Zimprich served as a senior associate for more than two years at Mona Meyer McGrath & Gavin, which is now a part of Weber Shandwick.